Your dog is allowed at Seaview. These are the reviews for Seaview. There are 25 reviews. Great holiday cottage with everything that we needed, including a nice BBQ and outdoor furniture. Everything was in good order and the shower was fantastic. Nice, quiet location and our dogs loved the massive, well enclosed front garden. Around 15 minutes walk to the lovely beach, with access to the coastal path. Benllech and Moelfre are a few minutes drive away. Many thanks - we will return! Cottage in quiet location with view of sea. Close to the beach. Lots of walking for my dog. 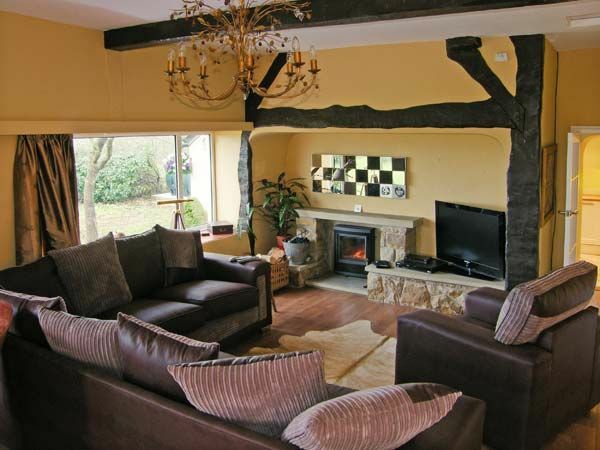 This property is large, comfortable and very homely. On arrival i found the property to be of a very high standard and lovely and clean. It made the start of my holiday. Its ten mins to the local shops, but remote enough for quiet and peace and I had a beautiful rest and I would love to go back again. Beautiful. A beautiful, well equipped, well maintained and presented holiday home. The setting was perfect with amazing views and surrounding scenery and beautiful (dog friendly) Lligwy beach close by. The grounds were well kept and gave a lovely private holiday place for peace and quiet and relaxation. The cottage was spacious with very comfortable bedrooms and lounge area. The kitchen is very well equipped, modern with everything that you would need. The lounge with wood burner, and complimentary logs, was perfect for keeping warm of an evening. The conservatory was a bonus as it was light, spacious and warm- perfect for morning coffee and admiring the views. The location was ideal for day trips out to anywhere on the island and there were local amenities for shopping, and eating out or takeaways. It was a very enjoyable holiday made perfect by the high standard of the accommodation and we are likely to want to return. Bbq was a disappointment, proved impossible to light possibly due to gas being low. Was also left uncleaned with food on the grill when we arrived. Contacted the owner and the owner responded very quickly but the gas cylinder was not replaced. Other than that the cottage was comfortable and well equipped and we would have no hesitation booking again. The location is absolutely great. We had plenty of space and this allowed lots of privacy if required. The conservatory had a lot of use, it was so pleasant in the mornings and last thing at night, and is equipped with lovely comfy sofas and gorgeous views. The views were exceptional from every room. The beds got a thumbs up from everyone, they were very comfortable. It was everything you could need from a holiday cottage. Have only just arrived back and have booked the cottage for next year! This says it all. Thank you for a perfect holiday. The kitchen and bathroom were excellent, also the location and peace and quiet were very nice. Words alone cannot express how fantastic this property is, you need to visit as the brochure picture do not do it justice. Loved every minute, a very comfortable property all round. The views are stunning and the owners have taken the opportunity to provide a home from home. The cottage was spacious and it was easy to get around. Had a lovely conservatory to sit in with comfortable seating. The gardens were lovely to walk around, were not overlooked and away from road noise. Had lovely views overlooking fields to the beach and sea. Travelling around was easy, roads were very good and well maintained. So relaxing, in lovely setting and it was nice to chill out and have family time together. Will be booking this again for next year. The cottage was beautiful and very well appointed. The location was perfect and the beach nearby was amazing. Our 2 dogs had a ball! It is perfect for a relaxing holiday, but would also be ideal for a family or group of friends and is perfectly situated for all the adventure activities in the surrounding area (North Wales). There is so much to do, we are looking forward to returning in the near future and this cottage will be number one on our wishlist. The cottage was beyond our expectations. The space outside and the fields were well appreciated by us and our two Westies. All in all a lovely break, well needed. We went home relaxed and refreshed. 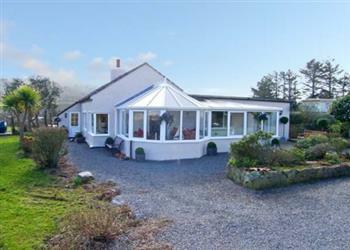 The cottage was excellent and in a good position for touring Anglesey. Where it is situated is very relaxing and quiet. The land around the cottage is well fenced so children and animals cannot escape, it is also within easy reach of a beautiful beach. Would recommend both cottage and area. Great location and views with lots of privacy. A very nice bungalow, ideal for families with pets and furnished to a high standard all round. Many thanks to the owners for providing such a nice holiday home. The location, the house and overall holiday was fantastic. We had a brilliant week, and we did not want to come home, we will be staying here again. Beautiful cottage in a beautiful place. Fantastic location, house was perfect with nice views and relaxing setting. Our first visit to this property and would love to come back! Seaview was a beautiful and spacious property. It felt homely and welcoming. It was sad to leave when the holiday came to an end. The location was fantastic, lovely and peaceful, we would definitely have gone back but its all booked up. Superior standard of furnishings. The bedding and linen were 5 star. The location, cleanliness, proximity to the beach and fantastic views at the cottage. Great garden. The cottage as a whole was beautiful and had virtually everything we needed. If you're looking for other cottages around Seaview, we've got some cottages below which may take your liking. There are 88 cottages within 5 miles of Seaview - and they have reviews too.